The addition of a high quality, high speed inkjet or thermal printer enables variable data and graphics function e.g. barcode printing. 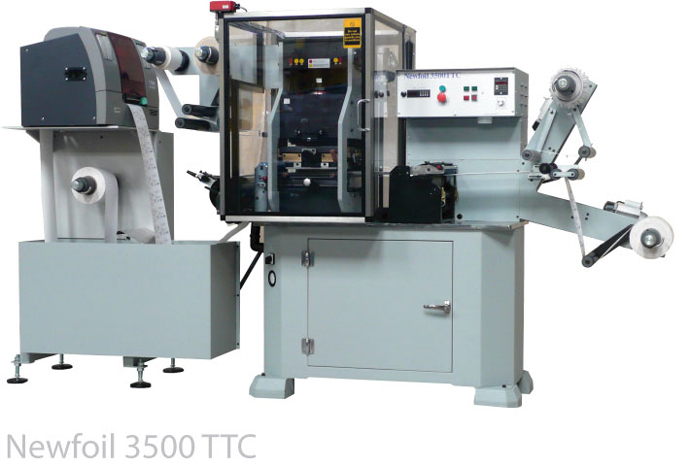 The printer is mounted on a special unwind unit which includes the web handling and interface connections to the Newfoil machine. The main drive of the Newfoil machine is modified to enable control from the unwind, this enable the two printing machines to run at optimum speed. The inkjet or thermal printer is used in conjunction with a Personal Computer and can be used as a stand alone printer.